The team behind one of Birmingham&apos;s best known heritage websites is behind a new push to get more people involved in the arts. Brumpic, which offers a huge archive of nostalgic Birmingham images online, has launched a new culture card offering exclusive special offers at dozens of venues. 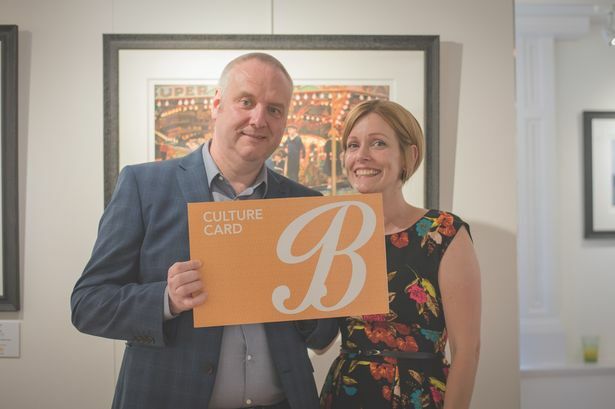 The £12.95 card is the brainchild of Brumpic founder David Oram and Caroline Durbin. It has a range of offers from two-for-one theatre tickets, to 40 per cent off entry to Warwick Castle, to a free drink at intermission. There are deals in place with 40 venues including The Glee Club, Cadbury World and art gallery Ikon. Mr Oram said: "This is about celebrating our cultural heritage and arts. There is so much going on in Birmingham at any one time and we want to shine a light on that and help raise the profile. "There are 40 venues on there – from the Hippodrome to Warwick Castle, BMAG and less well-known places like the Pen Museum, Castle Bromwich Gardens and the Coffin Works – so there is something for everyone." The card was first launched in July and Mr Oram said it was nearing the 2017 target thanks to selling directly to the public and bulk sales to local companies. Ms Durbin said she had been delighted by the response from customers and venues. She added: "We are working to celebrate all organisations, small and large, on a platform which highlights the best the region has to offer. We are all about celebrating culture." Mr Oram said it was a natural progression from Brumpic, which has amassed more than 135,000 followers on Twitter. "Our offers are really strong," he added. "We are very clear about this – we want the venues to benefit, by bringing more people in, but we want to offer real value to our customers through good deals. "Brumpic has always been involved with heritage over the last few years. We have worked with many of our partners, like the Hippodrome, on heritage projects. This is a natural progression really, to promote the arts and culture in the city and try to get more people involved."